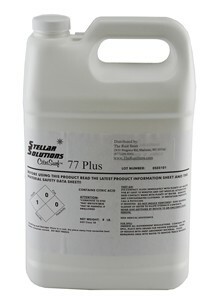 CitriSurf® 77 Plus is a high quality blend of chemicals formulated for cleaning, rust removal and passivation of stainless steel products. It is provided in a one-gallon container for dipping/wiping or for refilling the Citrisurf 77 Spray Bottles. CitriSurf 77 Plus is specifically designed to provide a portable, low cost and efficient removal of contaminants and all rust and free iron from the surface of stainless steel, providing the highest chrome oxide levels possible. Citrisurf 77 Plus is also available in 22 oz. spray bottles and 5-Gallon containers. Q. What is the coverage of one gallon? A. Coverage is approximately 250 square feet.